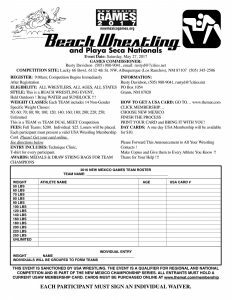 Lucky 66 will be hosting the beach wrestling portion of the 2017 New Mexico Games on May 27th. The New Mexico Games program promotes many sports throughout the state, with a focus on sportsmanship and competition. event is open entry and a qualifier for regional and national competition. Registration begins at 9:00am. Competition begins immediately after registration. A family fun bowl-a-thon fundraiser for New Mexico Animal Friends! There will also be a silent auction, food, and prizes!